I remember talking with some other food writers, a year and a half ago or so, about one of the pressing questions of the day: where were the flops? Things were opening fast and furiously, often in the form of very large and well-funded restaurants on Randolph Street or in Logan Square, and yet nothing ever seemed to close. Nothing old gave up the ghost, nothing new failed to make it. Sure, you could say that this or that wasn't catching on as big as was expected, but it was kind of freakish how nothing ever seemed to just flop right out of the gate or just call it a day. Places for food writers to write closed down a lot, but restaurants never did. I don't mean for this to sound callous or ghoulish. Nobody wants to see failure, per se. There's nothing fun about a place opening and turning out not to be very good. If you've met the people involved, as nonreviewers on the food beat often do, you just feel bad about their dreams falling short. That said, food is a marketplace of ideas and talent like anything else, and if the middling to bad don't fail and get brushed aside by history, the good and the great don't really have room to sprout. The whole city—not just River North—would be filled with giant sports bars and Italian restaurants if better ideas couldn't grab the imagination and, by raising the bar, send lesser things to the scrap heap. Well, the closings have started to happen in the last year or so. Some were folks who were ready to get out, like Ina Pinkney of Ina's; she did her time, she helped start a neighborhood food scene, she retired gracefully at the end of last year. Some of them were concepts that had merits but were simply misconceived, like Baume & Brix, which bet on a giant sports-bar-sized desire for Moto-like food, a concept that could have worked in a room a quarter of the size that was located somewhere more interesting than in the shadow of the East Bank Club. Some were places that just didn't find that magic combination of food and vibe; on paper either Kabocha or Oon could have been another Fat Rice or another Embeya, but they failed to find the food that fit the concept that matched the scene that worked in the neighborhood that would draw the crowds. Even Brendan Sodikoff, who is brilliant and perfect and could get lines out the door for the bottom of a mineshaft, bombed with a deli. As the movie producer Sam Goldwyn said, "If people don't want to go to the picture, nobody can stop them." Those are just a reminder that you can have all the elements and still not make them add up right. Some of our recent closings fit that paradigm. The Refinery aimed for refined (hence the name) comfort food, which turned out not to be terribly novel in the city that embraced Little Goat Diner, nor did the execution really measure up (at least in Mike Sula's view; I never got there). Chef Lawrence Letrero's previous gig (as a sous chef) was at Untitled, which no one has suggested is a culinary pacesetter. It's not clear why the things that seem to be working well enough there didn't work at the Refinery—but they didn't. The Savoy, the Wicker Park seafood house which closed on Sunday, is a bit more of a puzzle. With top execution, it could have been a significant restaurant at a moment when oyster bars, good cocktail programs, and fresh seafood were all hot. Michelin, for one, gave it pretty high marks with a Bib Gourmand in its first year. But the concept—a seafood and absinthe bar—was the kind of thing that sounds very hip but isn't really that appealing to more than the small coterie of cocktail enthusiasts. Also, there were hints of internal confusion in the way that chef Brian Greene, a Purple Pig vet, was let go after the first year for another Purple Pig vet, Cecilio Rodriguez. Anyway, if there's a lesson here maybe it's that you shouldn't open anything too upscale in Wicker Park, where the official food and drink remains tacos and beer at the ever-expanding Big Star. High quality and great reviews might've made the Savoy a gotta-go destination for the whole city, but falling short of that left it with neither a citywide nor a neighborhood base—sort of like another very good upscale restaurant in the same neighborhood, Storefront Company, which closed at the start of the year. Those at least make some sense— as did the summer's most spectacular shuttering, TMIP, which closed like an out-of-town test run of a play before it even got to Broadway. But then there are the ones that just hurt. Telegraph was one of those, a thoughtful, high-quality, yet reasonably priced, modern Italian restaurant in what should have been a perfect location, hotter-than-Hades Logan Square. Yet all the things that made Telegraph a restaurant for grown-ups—a smart wine focus, well-crafted, unshowy food, no hipster attitude—look like exactly what nobody in that area wanted. (Or at least not enough people to survive; the space is now Webster's Wine Bar, from the same restaurant group.) Would it have made it if it had been called Oxheart & Truncheon and had a burger topped with miso-marinated pork belly? Did it need more hipster showbiz wacka wacka for that neighborhood? Kind of looks that way. Finally, and sadly, was this weekend's shuttering of Pecking Order, whose owner/chef Kristine Subido took a job at an upcoming place called Roll Out that's attached to a bike shop. 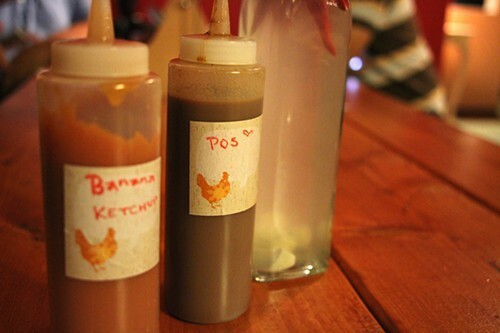 Filipino food is at least an up-and-coming trend, but Pecking Order may be a casualty of being both too soon and too late. 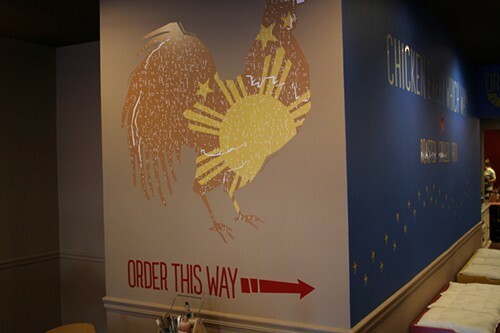 Subido's chicken joint promised more exotic flavors than it delivered, yet it didn't quite have the comfort foodiness of the fried chicken places that have popped up around the north side since she opened, like Honey Butter Fried Chicken and the Roost. I think the location—Clark between Andersonville and Lakeview—was a problem; I live not far from it, and yet I never drive that way, which surely meant I went to Pecking Order less than I might have. And the prices were kind of high if you thought of it as, say, delivery chicken, because Subido used better chickens and probably did more with them. I hear people grumble at the prices at Honey Butter, but since they're usually in line when they do, Honey Butter has managed to successfully sell better chickens treated with more TLC than KFC. Maybe in a different location Pecking Order could find similar success—Subido has said it might come back somewhere else—but for whatever reason, it didn't where it was. Anyway, I'm not sure what all this means, except maybe that the "End of History" moment, when you could open anything and the foodies would flock, was brief and ephemeral. The restaurant business is back to being what it always was, which is to say, a tough business with tight margins where the rich usually get richer and the others have to scramble hard but can occasionally, through smarts and lots of asskickingly hard work, pull themselves into those ranks. Bad places close, but good places do too, and a bet on an up-and-coming neighborhood is either the best idea or the worst idea you ever had—and there's no way to know till you do it. But relative to that moment a year or two ago, in a continuously sucky economy, there may be more softness under our busy scene than is immediately apparent. An instance of a restaurant going away before it ever arrived hints at that: Mindy Segal had planned to put a new bakery in a space on the stretch of Logan Square that includes the Radlerand Analogue. But two weeks ago, she decided against it and will sell the baked goods from her restaurant Hot Chocolate. It seemed like a sure thing, but evidently she had second thoughts along the lines of William Goldman's famous wisdom about hit making in Hollywood: "Nobody knows anything."